Is it Time To Switch Over To a Business VoIP System? VoIP Service or voice over IP is becoming the answer for little, medium and large businesses around the world. Today, more and more people are using VoIP service due to the fact they are very easy to incorporate and they supply a list of benefits for businesses of all kinds. Numerous successful businesses depend mainly on communication. Business VoIP service has the ability to break down a telephone call into electronic data that is then delivered through a broadband connection, just like any other sort of data. As a result, companies can cut the majority of excruciating expenses connected with communicating locally and across the globe. Business VoIP is on course to change the world of communications. The explosive development we’ve seen in recent past is merely the start. Numerous market professionals agree that it is just a matter of time before POTS (” Plain Old Telephone Service”) will be a thing of the past and near extinct. With a great deal of factors maintaining the surge of VoIP’s development, it just makes sense to look at adding Business VoIP to your company. VoIP offers numerous benefits to validate it’s development, and those perks equal healthy rewards for your company’s bottom line. The most noticeable motivation any type of kind of company can have for transitioning to VoIP is cost savings. The greatest savings is recognized with toll calls, which are essentially eliminated. VoIP saves you on regional and international calling, while also dramatically lowering your regulatory charges. Business VoIP can practically remove nearly all the exceedingly high cost functions connected with standard PSTN. The typical features that cost extra with regular telephone plans, such as Voice-mail, Call waiting, 3-way calling and call forwarding, automatically come with business VoIP service at no added expense to the company. 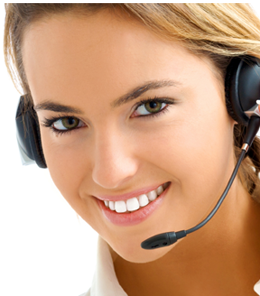 The versatility of business VoIP is unlike any other service. At anytime you can easily take your VoIP with you anywhere that has access to the internet. Whether you use a portable Analog Telephone Adapter with a regular phone, a wireless VoIP phone and Wi-Fi network, or your laptop computer configured for softphone, it makes no difference. You can take your telephone number, calling service and features on the road with you on your next company trip. An obvious advantage of VoIP, from the viewpoint of resources, is that the exact same network carrying your data packets, also carries your VoIP packets. This permits modifications and additions to your VoIP system in quick time and at an economical rate, unlike standard telephone networks. This also gives network managers a practical means of overseeing VoIP usage information and it permits your company to utilize the exact same network engineers to take care of both your information and voice systems. If you currently have a considerable financial investment in a conventional telephone system, switching to a business VoIP system does not mean you’re equipment and hardware is useless. Often, standard telephone equipment can be re-used with VoIP, making it possible to adapt your existing system to a VoIP network. Not only can you improve your business’s telecommunication platform, but additionally preserve your financial investment in standard telephone equipment. When you look at the direction of the communication market, in addition to the many advantages and opportunities made possible with VoiP, it’s clear that business VoIP is a win-win for any type of company, big or small. ECTtelcom is an independent telecommunications agency offering Business VoIP services to United States and International companies. ECTtelecom helps businesses to chose the right Business VoIP package by providing the detailed analysis required to determine the right service with the lowest rate. For more information contact an ECTtelecom specialist at US Toll Free 800-664-3071 or International 850-936-5887 for a no obligation Quote.